Five young lives have been ended by lightning in less than a week, a deadly reminder of one of summer's leading hazards. 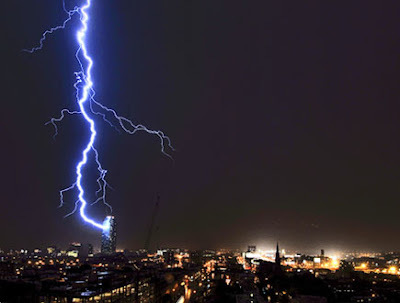 "Typically, July marks the peak in lightning activity. It's also the time when people are vacationing, so they are outside and they are vulnerable to lightning," said John Jensenius, a lightning safety expert at the National Weather Service. Hundreds of years ago, death by lightning was almost unheard of. Now days, the planet is overpopulated and people and severely undereducated regarding nature and survival. It's only logical that more and more people will be die from natures fury. when you say 'something oughta be done' do you mean that maybe older peeps should be getting their share as well?